If you are somewhat like me, purchasing a new copy of Parallels each year to receive a couple of “bug-fixes” and “performance updates” ranks somewhere between a visit to the dentist and a prostate exam. Hence you may probably understand my frustration when I faced serious performance issues accessing a brand new copy of Windows 8.1 remotely via RDP. Via RDP, you ask? 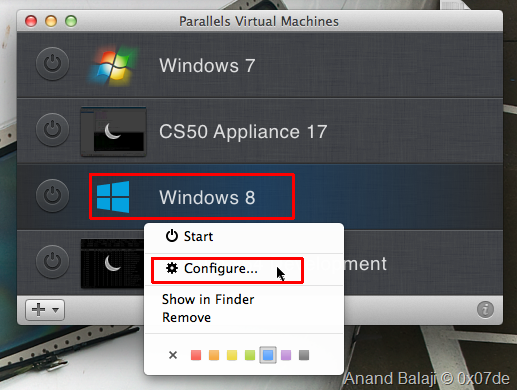 Yes, it just so happens that I utilise a “high-end” Windows 8.1 workstation to access my MacBook Pro via VNC. 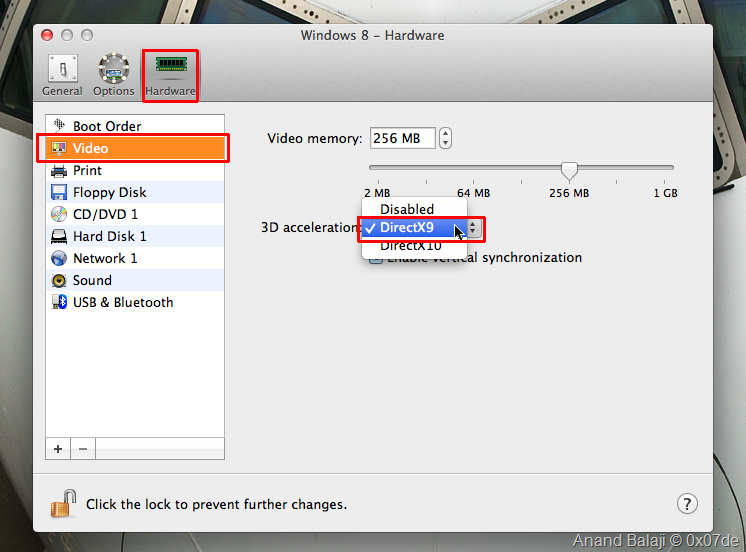 The Windows virtual machines on the MacBook are accessed via RDP. There are also two Linux Virtual Machines that I connect to as well, but mostly via SSH. They are not pertinent to this article, and I’m not sure why I bothered mentioning them in the first place! 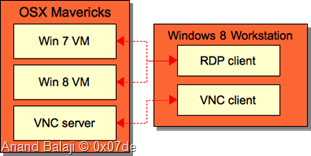 The Windows 7 VM was not exhibiting any performance issue, so it was definitely not something that was network related. Allocating additional physical resources (RAM, VRAM) to the Windows 8 VM did nothing to improve performance. … which didn’t work. You can go ahead and execute the command from an elevated command prompt though, to see if it makes a difference on your hardware. After sprouting a couple of additional grey hairs, I decided that the best bet towards solving this issue was to determine the type of hardware acceleration used within the VM. RDP on Windows 8.x tends to rely extensively on acceleration within the video drivers on the host. Was it possible that the drivers installed by Parallels weren’t good enough? And lo and behold… it worked! RDP performance was as smooth as a hot knife through (low cholesterol) butter, and performance matched my Windows 7 RDP session. I have no idea why this made a difference. I can only speculate that Parallel’s DirectX 10 drivers aren’t optimised for RDP. They are instead most likely optimised for gaming on the same physical machine that runs the virtual machine. 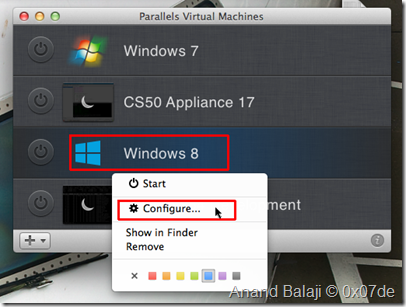 This entry was posted in Coding, OSX, Parallels Desktop, Virtualisation, Virtualization, Windows and tagged 8, 8.1, 8.x, configuration, desktop, parallels, parallels desktop, performance, RDP, remote, remote desktop, sluggish, vm, windows, windows 8 on August 30, 2014 by admin.